After all, you're seeing ripped bodybuilders, figure competitors, and even normal men and women who just lead busy lives shed massive amounts of weight through this things called Keto. 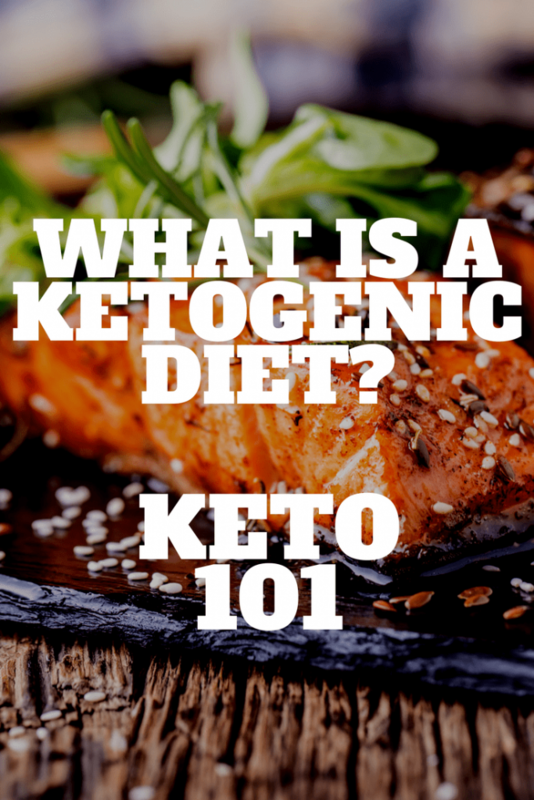 These, and many more questions, I'm going to answer in this article, so if you're asking “what is a keto diet?” you will have all the information you need to decide if a Ketogenic Diet is for you, you'll have all the tools you need to get started. A Ketogenic Diet, also know as the Keto Diet, is a very high fat, very low carb, moderate protein diet that is very popular because it can cause you to lose body fat very fast, and study after study after study has linked Keto with benefits against cancer, diabetes, Alzheimer's, epilepsy, and more. Eating Ketogenically involves cutting carbohydrate intake from 200-300g daily down to 20-50g daily and replacing those missing carbs with fat. Reducing carbohydrates this drastically puts your body in a state of Ketosis. Ketosis is a metabolic state in which you body uses fat for fuel, rather than carbohydrates. When you eat normally, when you consume more carbohydrates than you body needs to run for the next 24 hours or so, you body turns those excess carbs into fat and stores them as (unwanted) body fat. But if you cut the carbs in your diet drastically, your body enters Ketosis and starts burning that stored fat for fuel, resulting in better health and body composition for you. Cutting your carbs sounds very simple and straightforward, and if your only desired result is lost body fat, then using a keto diet is pretty simple. Standard Ketogenic Diet (SKD): The typical, non-complicated Ketogenic diet, which usually has the dieter eat 75% fat, 20% protein, and only 5% carbs. This is a moderate-protein, high fat diet. Cyclical Ketogenic Diet (CKD): This is a type of carb cycling intertwined with Keto. You do CKD by incorporating 2-3 high-carb days during the week, leaving the rest as Standing Ketogenic days. The high-carb days are called refeeds, and work well for athletes whose muscles need carbohydrates to perform adequately. Targeted Ketogenic Diet (TKD): This diet allows you to add in small amounts of carbohydrates (25-50g) at specific times on days you workout. Generally, carbs are consumed 30 minutes prior to working about, pushing you out of ketosis just long enough to fuel your body for the workout, and putting you back into ketosis after your workout. This is great for for people who are trying to build muscle and lose fat at the same time, or are doing intensive cardiovascular exercise several days a week. High Protein Ketogenic Diet: This diet is very close to the Standard Ketogenic Diet, with the exception of more protein. Typically, in a High Protein Ketogenic Diet you'll eat 60% fat, 35% protein, and 5% carbs. If you're building muscle, you may want to consider increase the protein levels just a bit to achieve your goals. Long gone are the days of doctors telling you to eat a low-fat diet to help with disease and losing weight. Instead, studies are showing more support than ever for eating a high-in-healthy-fat diet, such as Keto. A diet high in healthy fats is very filling, meaning that you can lose weight without counting calories, always feeling hungry, or feeling deprived. You'll feel full, happy, and mentally sharp. In fact, a study in the UK found that not only did Ketogenic Dieters lose 3 times more weight than those on the UK's recommended diabetes diet, they reported being happier and not feeling deprived (source). The weight loss happens when your body moves into Ketosis, where it burns stored and ingested fat as it's primary fuel source, rather than ingested carbohydrates. And because carbohydrates are drastically cut, there is little danger of the body converting them to fat and storing them. The Ketogenic diet was developed as a treatment for neurological diseases, specifically epilepsy. Many of these studies are far from inclusive or definitive, but the correlations and the ongoing research are too much to ignore. Ketogenic Meals are based around healthy fats, proteins, and nutrient-heavy foods. Meats: Red meat, ham, sausage, bacon, chicken, and turkey. Fish: Fatty fish such as salmon, tuna, trout, and mackerel. Healthy Oils: Olive, Avocado, and Coconut Oil are all great sources of fat. 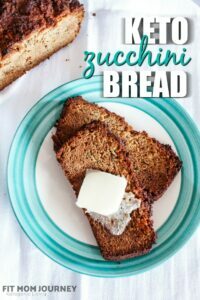 Try to eat as simply and cleanly as possible, as this is the healthier, and most beneficial way to do Keto. 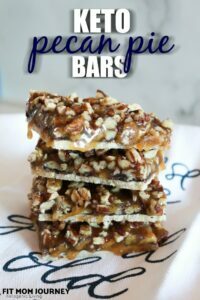 You may want to check out 44 Clean & Simple Keto Snack and 24 Premade On-The-Go Keto Snacks. As a good rule of thumb, it is good to “eat the rainbow” by making sure you eat plenty of different color from your plate and during the week. As much as you can, try to prepare fresh, non-processed ingredients and you'll be well on your way to eating a very healthy Ketogenic Diet. 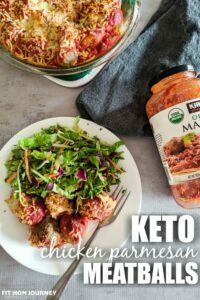 Check out all my Keto Recipes here. I also have Free Ketogenic Meal Plans located here. They're free to download, all they require is your email address. As you get deeper into Ketosis, you'll notice the desire to snack get to be less and less. However, in the beginning of Keto, or if you don't eat enough at meals, you may notice yourself getting hungry between them. 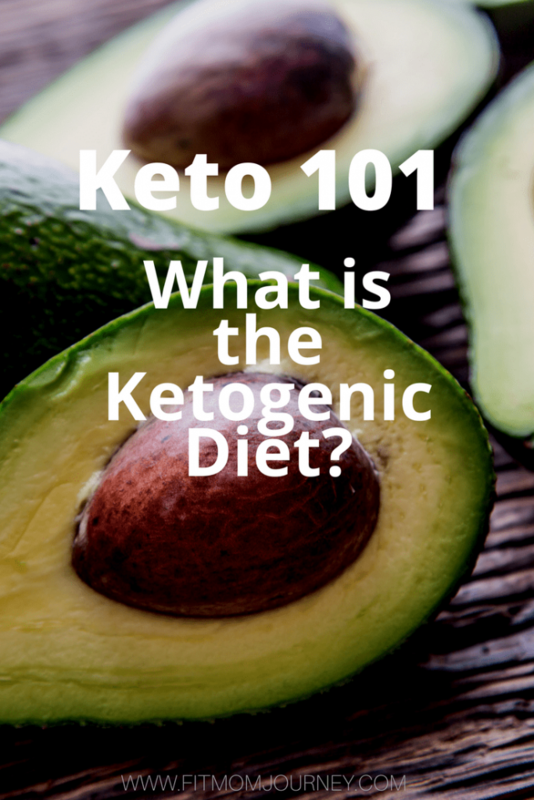 Up until now, I've talked about the benefits of a Ketogenic Diet, as well as how to actually eat Ketogenically. However, I wouldn't want to diminish some of the side effects you could experience, especially in the beginning. These side effects are generally considered safe, but I am not a doctor, and so before beginning a diet like this, please consult with your doctor if you have any questions or concerns at all. The side effect that is most-talked about (you've probably heard people lamenting going through it) is the Keto Flu. Keto Flu takes places when your body is moving into Ketosis, usually between days 2-7 of Keto. Keto Flu usually feels like the flu with headadches, nausea, increased hunger, mental fog, trouble sleeping, and you may even notice decrease performance during your workouts. While that sounds pretty terrible, you CAN minimize Keto Flu by consuming enough electrolytes, either through sugar-free Gatorade or Powerade, or even salting your water. It also helps to make sure you're eating plenty of healthy fats, and eating enough even if you don't feel like it, so your body has enough fuel to switch into Ketosis. If that doesn't work, using drinking Exogenous Ketones can help the transition period, increasing your energy levels and telling your body to “move it” and start burning fat. Even if you have bad Keto Flu symptoms, the good news is that the symptoms usually dissipate within 2-3 days of starting, so if you hang in there, you'll soon start feeling better. It is NOT necessary to take supplement if you're eating a balanced, healthy, varied and simple Ketogenic diet. Caffeine: You do not have to limit coffee on Keto, and in fact caffeine can be beneficial to Ketosis. Add in cream, Stevia, and/or MCT oil for a boost. 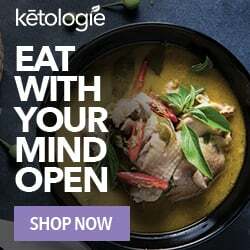 Exogenous Ketones: While this supplement should not be taken on a regular (non-Keto) diet, taking them can raise ketone levels in the blood, aiding the body in burning fat. Will I have to give up carbs forever? Giving up carbs is a choice you have to make for yourself, so of course you can choose to reintroduce them to your diet whenever you wish. Personally, I chose to set a body fat goal, then reintroduce carbs when I reached it. Your goals are your own, so use Keto as a tool to reach them, not a punishment for not being where you want to be. Do I need to “carb-up” or “refeed”? Not everyone needs to carb up or refeed. If you are a serious endurance athlete or bodybuilder, you need carbs more than someone who does light exercise daily. A higher carb or calorie day may be beneficial every now and the, but not necessary for most people. Will I feel deprived? I hope not! Eating a high amount of fat every day leads to a high sense of satisfaction and fullness. If you're not feeling satisfied or deprived, try varying your Keto meals or increasing the amount of fat your eating. Will I lose muscle? There is a risk of losing muscle on any diet, including Keto. However, the high ketone levels and protein intake tend to keep most of your muscle intact. Can I workout on keto? Of course! In fact, exercising while in Ketosis can help with energy levels, help beat Keto Flu, and speed the rate at which you're losing body fat. Even though you shouldn't be very hungry or have as many carvings on Keto, make sure you're eating enough to fuel your workouts. Why does my breath smell? Stinky breath is a common side effect of Ketosis, and it's actually a good sign because what you're smelling are your increased Ketone levels. This means you're in Ketosis! For most people, this side effect is only present for the first few week so of Keto, but if your breath still smells or bothers you, try brushing your teeth a few times a day, using mouthwash, and/or chewing gum. Why does my urine smell? Again, ketones are present in your urine, making it smell. There is not a whole lot you can do about it, but hopefully this symptom is less bothersome than smelly breath. I heard you can eat too much protein. Is that true? If you eat too much protein on a ketogenic diet, your body will actually convert it to carbohydrates, and then store it as fat if your muscles don't need it. However, you would have to eat nearly 2g of protein for every pound of bodyweight for your body to do this, and most Keto dieters have trouble eating this much protein. I am extremely tired. What can I do? Chances are, you're not in full ketosis if you're still tired. Once you're in ketosis, you should notice increase mental focus and energy. To fix this, lower your carb intake even further and try things like Exogenous Ketones and MCT Oil to speed getting yourself into Ketosis. You should feel much better then. A Ketogenic Diet is a great tool to have in your arsenal for a healthy life. If you want to lose body fat, combat diseases such as PCOS, insulin resistance, or even reduce your risk for heart disease, a Ketogenic Diet is a great option. If you are an endurance or serious athlete, Keto may not be the way to go, or you may want to integrate some carbohydrates into your Keto Diet around your workout times. As with any diet, there are pros and cons, but for me personally (and many, many other people) a Ketogenic diet helped me lose 23 pounds in 60 days and more than 20 inches over my entire body. Want to see my results? Check out my 60 Days Keto Results post here. A Facebook group for all participants so we can cheer each other on! + more surprises on the way! This Challenge group is completely free! I'm not selling you on any products (besides discount codes for a few of my favorites), services, or program. I want to help and cheer everyone on! Learn more about the 60 Days Ketogenic Challenge here. Thank you your advice and information was very helpful. I’ve just started this journey and this motivated me to even try harder. I’ve only lost 8 pounds but it’s 8 pounds that I had lost in over a year and a half, and in just two weeks time; I’m on board!!! Thanks for descriing the four different types of keto. I did strict keto for a while and lost 35 pounds. After hitting my goal weight, I started doing “lazy keto” (staying low carb, but not counting carbs – and allowing some natural carbs like rice and potatoes while still avoiding processed carbs like bread, grains, sugar and pasta) in combination with intermittent fasting. 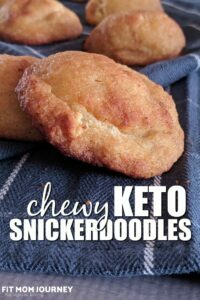 I only thought there were two types of keto: strict and lazy! 🙂 I really liked reading the descriptions of the four different types. I plan on trying to lose another 5 pounds doing the standard ketogenic diet – and then may implement the cyclical ketogenic diet once I reach my goal. I’m very curious to know why you switched from THM to KETO with a side stop at whole 30 possibly. I’ve been researching all these plans and it would be very beneficial to know what prompted your switch.